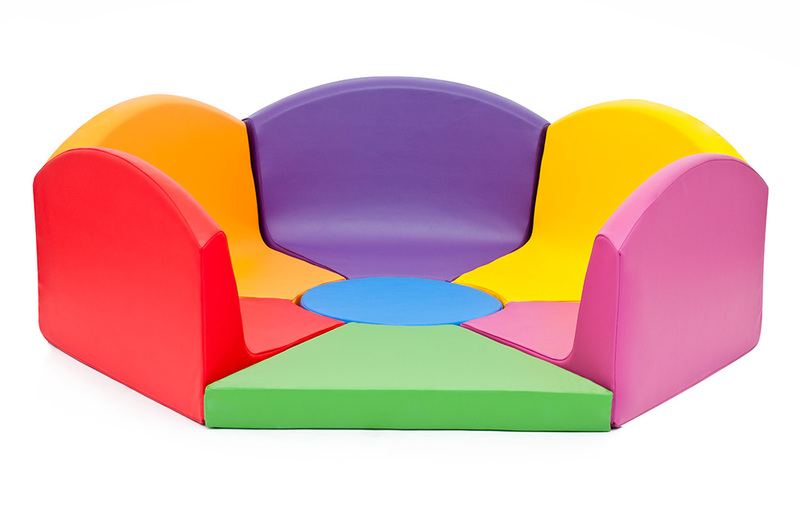 The Library Soft Seating Flower is a real wow product for any early years’ education setting. The 7 brightly coloured foam shapes are easily joined together using integrated Velcro strips to form a beautifully coloured flower pod which can seat multiple children. Ideal for use in classroom reading corners, school libraries or in a soft play area for young children. Manufactured using high density foam which is resistant to bending, sagging and twisting and features high quality seams for increased durability. Each foam shape is covered with an easy clean cover which is fire resistant and durable and can be removed if required.